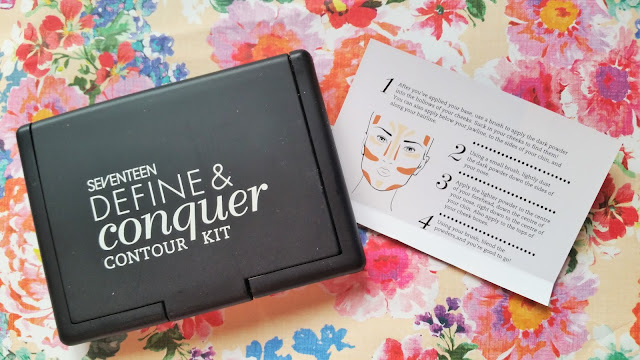 Recently the lovely people at SEVENTEEN sent me four of their bestselling products, including the Define & Conquer Contour Kit, and as you can imagine I was absolutely delighted! Now honestly, ‘back in the day’ my friends and I constantly wore 17 makeup (as it was known back then). We didn’t really know how to apply makeup but it was cheap and we had lots of fun trying. I cringe now thinking back to our baby blue eyeshadow, body glitter and foundation 3 shades too dark – what were we thinking? However, as I ‘matured’ I moved on to premium brands which I considered to be more grown-up and forgot about 17. It’s only until recently I rediscovered their counter in Boots and fell back in love with the brand but for totally different reasons. SEVENTEEN has been given the ultimate makeover. I honestly didn’t even realise that it was the same brand at first. The packaging is sleeker, more professional and the collection of shades and products available rival any high-end beauty counter. To say SEVENTEEN have simply ‘revamped’ their collection is a bit of an understatement – they’ve revolutionised it. Clearly a huge amount of research into current trends has gone into developing the collection. Their range of products is now, not only contemporary (some could even pass for very convincing dupes from well-known premium brands), but are affordable and, most importantly, of seriously high quality. The Define & Conquer Contour Kit* is the perfect product for the contouring newbie like myself. The kit comes with a mirror, a pocket-sized step-by-step guide and two soft matte powders; one to add definition to the face and a lighter powder to highlight. I know when people think of contouring they can be a little intimidated. They immediately think of Kim K or those ridiculous photos on Pinterest where every part of some poor girls face is a different colour and shape. 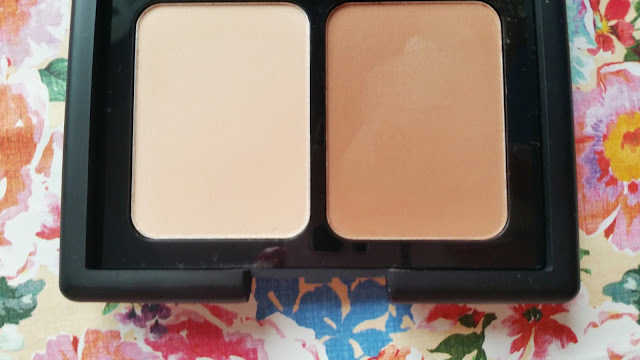 But contouring at it’s simplest form is just a way of enhancing your natural features, and you’ve probably been doing it for years without even knowing it. After you’ve applied your base use a brush to apply a little of the dark powder to the hollows of your cheeks. If you’re feeling confident you can also use this to define your jaw line, the sides of your nose and forehead as shown on the guide provided. Less is definitely more I find when contouring. It’s easy to build up your colour but a nightmare to go back and start all over again! The lightest shade goes on the tops of your cheeks, nose, forehead, cupids bow and chin. Then all that’s needed is to blend your contour with a big fluffy brush or Beauty Blender to create a flawless coverage. I love how versatile and easy to use this tiny kit is. It proves that contouring doesn’t have to scary or overly complicated. 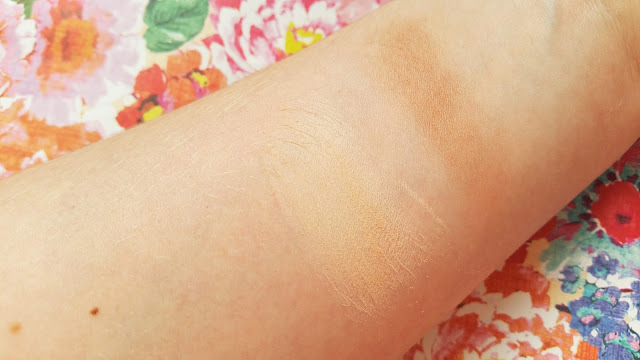 The powders are both really long lasting and come in two shades light and medium. I was sent medium which, surprisingly, wasn’t too dark for me. 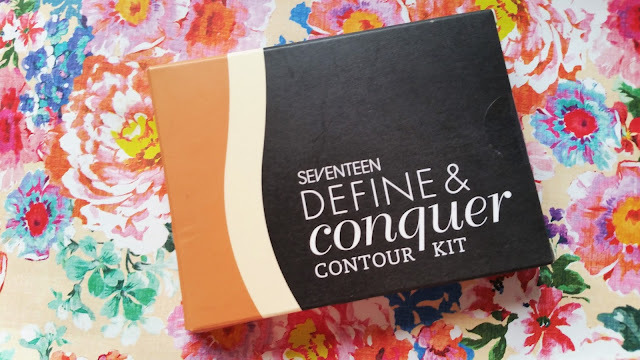 The SEVENTEEN Define & Conquer Contour Kit is available at Boots.com for only £5.99. How do you feel about the whole contouring trend? "Charcoal Detox Sheet Mask From Timeless Truth Review"
"Merumaya Mud Marvels Mask Review"